Pittsburgh Underground: Fundays At 420: BETTER CALL SAUL!!! Fundays At 420: BETTER CALL SAUL!!! Hey there all you little criminals! It's time again for another Fundays At 420! You know what that means - YOU BETTER CALL SAUL!!! That's right gang! It's the beginning of the end for one of Pittsburgh Underground's favorite shows - Breaking Bad, as it air's the first of it's last eight episodes tonight at 9PM on AMC, and who better to usher us in than our favorite TV lawyer, Saul Goodman! To say this series isn't for the faint of heart would be an understatement. Punches were never pulled, no one was ever safe, and it forever justified why man made drugs 'r bad. Let's face it kids, every cloud has got a silver lining and for the world of Breaking Bad, it was Saul Goodman! If there was ever a character (not to mention) an actor that deserved his own spin off it's Bob Odenkirk who's methodical depiction of shady strip mall lawyer, Saul Goodman, was the one bright light (if not an dingy one) that let us breathe with a laugh between gruesome scenarios. He had the lingo, the wardrobe, and the charm of a used car salesman turned politician. Honestly, who couldn't see this guy run for president? With that said Pittsburgh Underground presents Saul Goodman in all his glory! Don't forget - the final eight episodes of Breaking Bad starts tonight at 9pm on AMC! TO BETTER CALL SAUL WEBISODES!!! Sue 'Em Now - Better Call Saul! Tiger Trouble? - Better Call Saul! Did I Murder An Old Man? - Better Call Saul! Wayfare 515: We're All Victims (A Message From Saul) - Better Call Saul! Another Satisfied Client of Saul Goodman: Badger - Better Call Saul! Another Satisfied Client of Saul Goodman: Wendy - Better Call Saul! Another Satisfied Client of Saul Goodman: Carl - Better Call Saul! 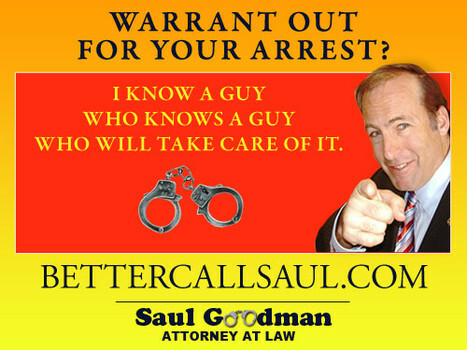 Another Satisfied Client of Saul Goodman: Saul Better Help My Moms - Better Call Saul! Fatty Fat Fat - Better Call Saul! 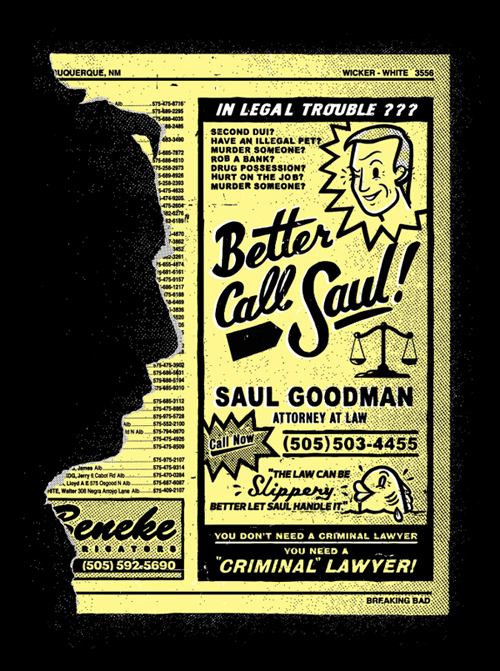 Fighting For You - Better Call Saul! Live Webcam - Better Call Saul!